Morph TV APK – How To Install? The Morph TV APK is actually an enhanced version of the Morpheus TV which used to be a reliable source of free, up to date media content like the latest movies and TV shows. It is just like Terrarium TV, but with more convenient UI and more added features. It gives media content similar to various Kodi add-ons like Covenant, Gaia or Incursion. But the good news is that Kodi is not required with the Morph TV add-on. What’s new in Morph TV APK version 1.70? After the developer of Morpheus TV decided to discontinue the updates and abandoned the project on the version 1.66. He later decided to redesign the project and make another version which will be accessible by only a few people. So, we considered it necessary to introduce a feature-filled and up to date public version of the app. The new update 1.70 contains various bug fixes and other critical problems. We have now removed the update prompt for the convenience of our users. Here is the exact changelog of Morph TV v1.70. More media sources: xmovies8 and Icefilms. Fixed some issues with Reddit and Flixanity.xyz. If you have an Android device, Amazon fire stick or even NVIDIA shield, you can easily install Morph TV on your device. Just like Kodi, Morph TV, and its developers always looking for new media sources and latest content to keep you updated all the time. We scrape data from all over the internet and assemble it into Morph TV, so you do not hassle the next TV you have to watch a new movie or TV show. These are some of the highlighted features of Morph TV add-on. Separate “Movies” and “TV” sections are added for your convenience. You can also sort each section like new, popular, trending and many more. Playback and variable Buffer size options are also available. Subtitles in many languages make it easy for you to catch up. Easily Bookmark any Movie or TV show to watch later. File Download option lets you download any file. Even for your android Kodi box to watch Movies offline. Morph TV supports various platforms and is super easy to install on your desired device. Just follow the below-mentioned steps carefully. Select the search icon on the home screen and search “downloader”. Then choose “Downloader from the search results and open it. 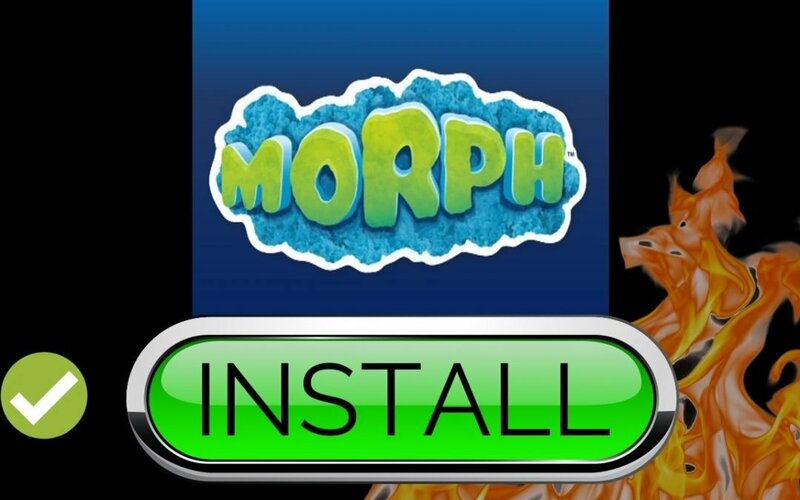 Wait until the Morph TV finishes downloading. Once it’s done, select “Install” and wait a bit. Then Morph TV is ready! Enjoy watching new Movies and your favorite shows. Installing Morph TV app on your Android device is very simple. You’re all set! Enjoy Morph TV app.